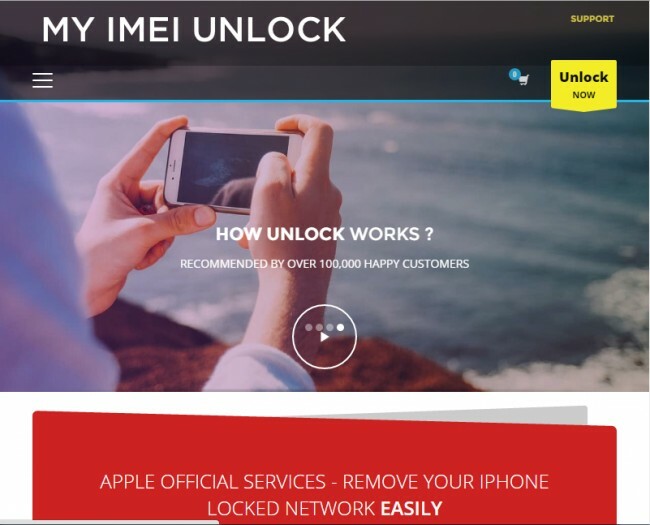 Anytime your device is locked for one reason or another, IMEI unlocking is often the easiest way to unlock the device. Using your IMEI number there are several apps and tools that can unlock a completely a mobile device. Most of these apps are freely available on the different app stores. Some are free. 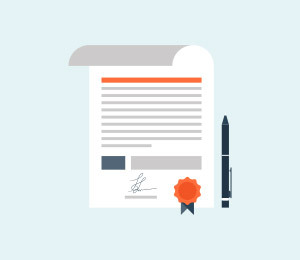 Others will offer the service at a substantial fee. 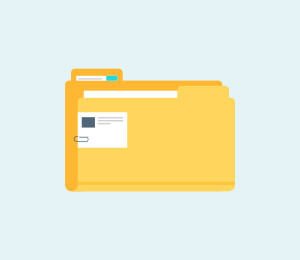 Because there are so many of them it can often be difficult to sieve through the mass of apps and find the right one for you. 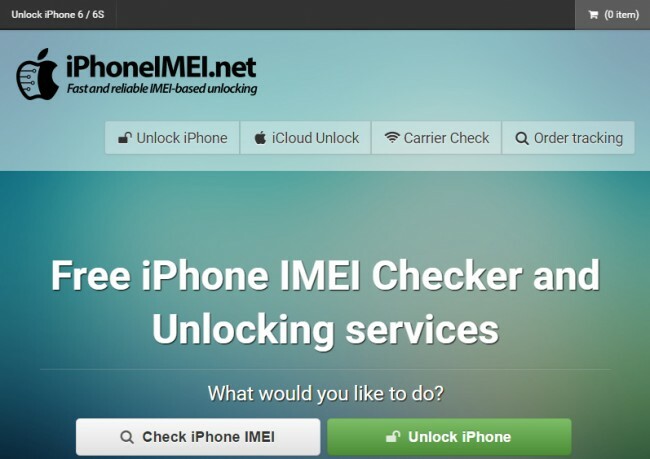 In this article we are going to provide you with 5 of the best IMEI unlocking tools for Android and 5 for iPhone users. This way it will be easy for you to choose one for you. 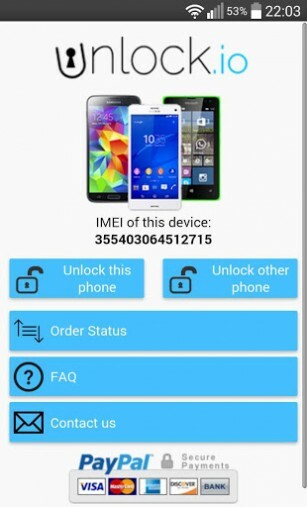 This app works by using your IMEI number to remotely unlock a locked Android device. You can use it by using a SIM card on a different network than the one that is locked and just entering the IMEI code when prompted by the app. The app will proceed to unlock the device and once this is done, you won't be required to enter the code again. Although it is not free, it is very easy to use and very effective. It also comes with a lot of great features such as social media integration and excellent customer service. 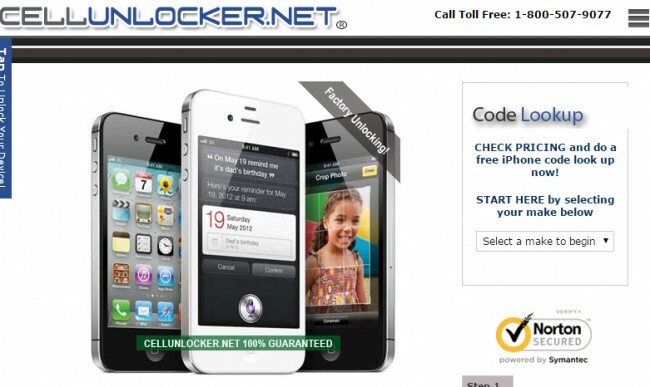 This is an app that has been developed by legendary unlocking website imei-unlocker.com service. It works very easily. All you need to do is launch the app and the tap the unlock button from the dashboard, choose the device and then enter the IMEI number of the locked device. It is also compatible with all Android devices including the newer models such as the Samsung Galaxy S5. 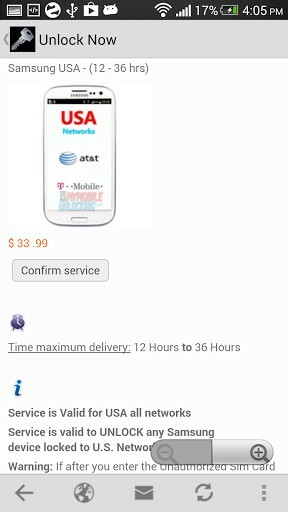 The major selling point of this app is that it supports a wide range of Android device. Using it however is not as easy as the ones we've seen above. You have to provide a lot of information about the device before you can be provided with the unlocking code. Also, the app charges the user per unlocking code provided. 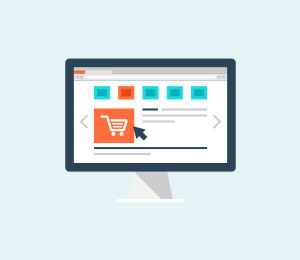 The code is sent to the user's email address which also further complicates the process. This is another app that makes it very easy to use your IMEI number to unlock an android device. It supports a wide range of devices including Alcatel, LG, HTC, Motorola and many others. All you have to do is install the app and then provide your device's information. 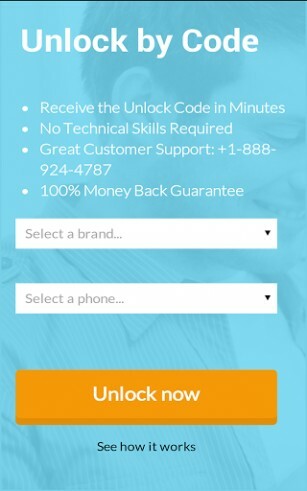 The app will send you an email with the unlock code and instructions on how to use it. This one is fairly new although it does work well to unlock your mobile device. 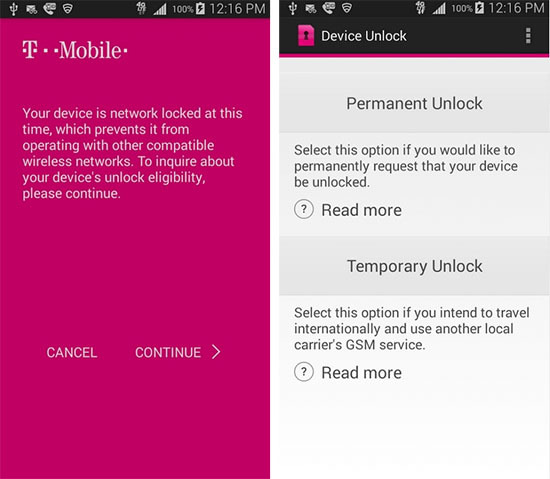 It is very easy to use and you can request an unlock code directly from the device. The only drawback is that it only supports Samsung Avant devices. This is one of the most trusted unlocking service in the business. The services promises it can unlock any iPhone regardless of iOS firmware, boot-loader or baseband. It can also be used to unlock all iOS versions including iOS 9. Most of all they promise not to jailbreak your device while unlocking. It is also very easy to use. All you have to do is provide the device's details as well as the IMEI number and the do the rest. 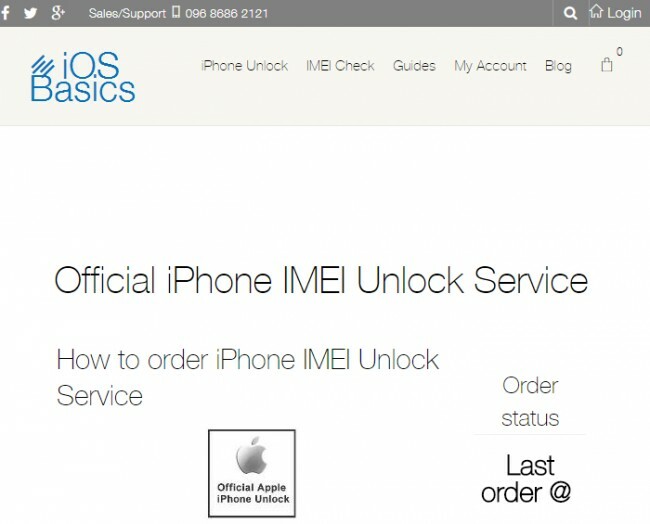 Apart from offering you the chance to check your IMEI number, this service also unlocks iPhones. It very easy to use. All you have to do is select your iPhone model, the network carrier you use and then enter your IMEI number to unlock the device. The site also allows you to easily pay via PayPal. 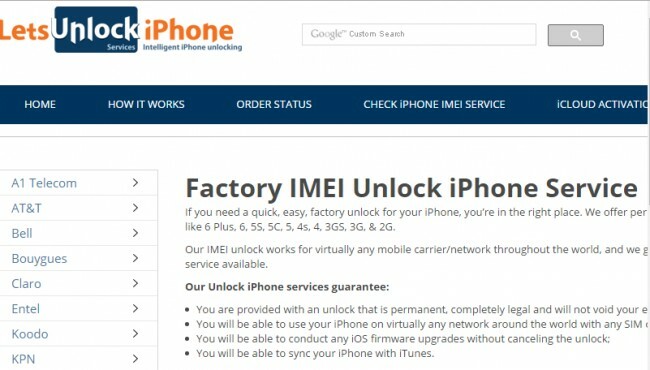 Yet another reliable service that easily unlocks your iPhone using the device's information and IMEI number. 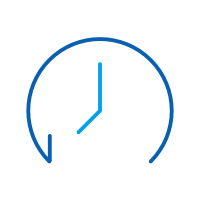 This services promises that the iPhone will be unlocked in just 2 days and the action is permanent- you won't have to repeat the procedure at a future date. The service is also quite affordable as compared to the others. 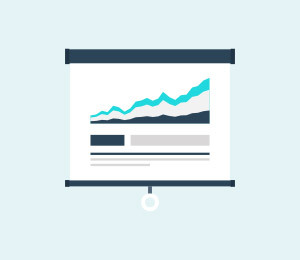 The major advantage of this service is that it is very easy to use and very transparent. You can see the latest unlock orders they have received right on the website. It is also very easy to use. All you have to do is enter your IMEI number and device information and they unlock your iPhone. For this service you first begin by selecting your iPhone model and then entering your IMEI number. 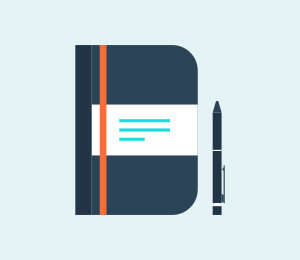 It is a great service that is also very easy to use. 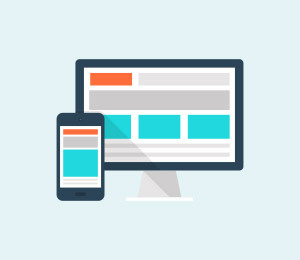 The site however only unlocks iPhones with specific network carriers and you should check that they support your carrier before placing an order. 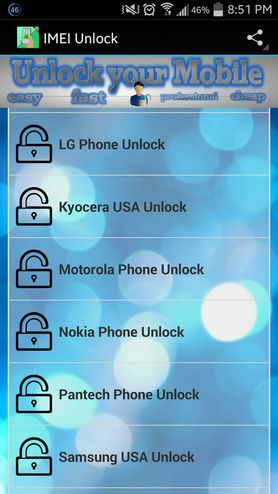 Now that you have at least 10 solutions to choose from, we hope you are able to make use of your IMEI number to unlock your device. You have to part with some cash to use them but if it means getting your device working normally again, we think its worth the investment. Let us now how it works out for you.